They’re usually attached to an article claiming affiliate marketing is the greatest thing since sliced bread. And now, you’re interested in how to start an affiliate marketing business and start pulling in some of that sweet, six-figure income. If done right, this business model can lead to passive income (who doesn’t want to make money while asleep? ), freedom to do what you want when you want, and more control over your life. I’ve been extremely blessed to have affiliate marketing be my sole source of income since 2009. I know the blessings that it can bring. I also know the challenges, struggles, and hardships as well. Affiliate marketing is one of the most cost-effective businesses you can start online. The general idea is you build a website, help connect people with the information they are searching for online, then hand them off to the retailer. The retailer then pays you a percentage of the sale as a commission. You promote another person’s or company’s product or service on your blog, social media accounts, YouTube, online ad, or other online platforms of your choice. If one of your followers clicks on the affiliate link and then buys the affiliate product or subscribe to an affiliate service that you’ve promoted, this transaction is credited to you. The affiliate program then computes all conversions and sends commissions your way. The concept is actually pretty simple and has been used in businesses long before the internet even existed. 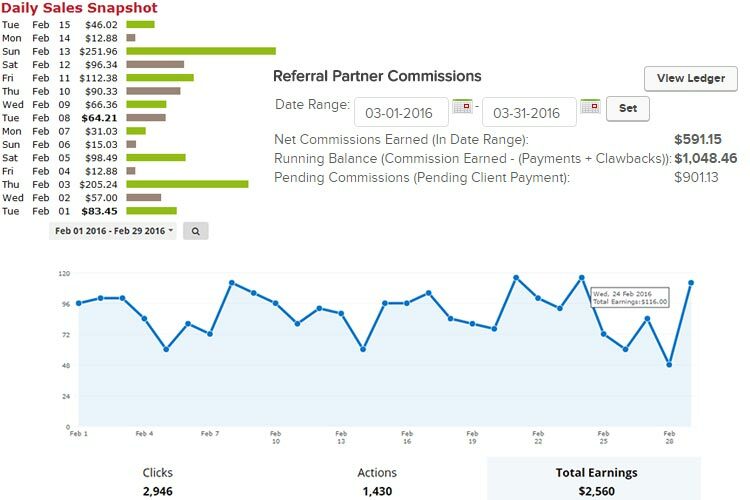 In the past, referral commissions are given to people who bring new customers to a company. The main difference in today’s affiliate marketing is that you use a traceable link when promoting a product/service and the affiliate program uses a browser cookie to track the shopper’s purchases before the cookie expires. How much capital do you need to start an Affiliate Marketing business? If you’re just on the planning stages of your online business and can’t dive into affiliate marketing just yet in fear of a high startup capital, you’d be amazed that this make-money-online model allows you to operate at virtually no cost. Of course, as you earn commissions and expand your business, it’s inevitable that expenses will creep up as well. Keyword Research Tool – Any serious affiliate marketer should invest in a keyword research tool (we use Jaaxy for ours). This will be your secret weapon for successful campaigns with your pay-per-click (PPC) advertising and SEO (search engine optimization) efforts. It helps you come up with ideas for content, keywords, and niches. Marketing techniques – You might incur additional monthly expenses based on the marketing technique you choose to use. E-mail marketing – One of the best ways to nurture leads is to run an e-mail campaign. There’s no other e-mail tool better than AWeber, which starts at about $19/month and goes up to $200 or more (depending on the number of subscriptions). Copyright Photos – You can also buy ready-made images straight off sites like Dreamstime and other stock photography sites for as low as $2/photo. Another option, you can use CC0 licensed images for free through a service like Pexels. You don’t need to buy every affiliate marketing course you could get your hands on. Stick with just one highly-recommended training and go from there. This is important not only to keep you from getting overloaded with information, but also to spend more time actually working on your affiliate site rather than being stuck at the planning stage forever. If you play your cards right, you’d be able to build a fully functional affiliate website with just under $100. There aren’t any set limits here. Some affiliates see $10 per month, others see $100,000. You can fall anywhere in between. The beauty of this business is if you have a website that gets highly ranked in Google, you can earn money for months, or even years, long after you created the content. You can put in a few hours of work today, and continue to profit off of that for years to come. 1) Your Keyword Research and SEO Game – Keyword research should begin the second you decide to build an affiliate marketing business from scratch. This business model may seem like it could adapt to a “come as you go” method. In reality, the better researched your niche is, the higher chances your affiliate site would succeed. Search engine optimization (SEO) comes into play once your website is live. Both on-page SEO (steps you can do from the site to make it search engine-friendly) and off-page SEO (things you can do on third-party sites to make your website more attractive to search engines) are important. Both your keyword research and SEO game should be on point, and continuously conducted throughout the life of your affiliate sites. 2) Pay-per-click Ads – PPC is a powerful type of advertising that can drastically improve sales on ecommerce websites. When it comes to affiliate marketing, using PPC ads is completely optional, but if you want your business to expand quickly and bring in more targeted traffic, pay-per-click ads are the best route to take. Of course, you’ll need to familiarize yourself with AdWords, Facebook Ads, and other popular PPC ads, master effective copywriting techniques, and find the perfect balance with low cost per click and high conversion number. Of course, when you expand your affiliate marketing business from one website to two (or more), your earning potential multiplies as well. As you can see, your earning potential from affiliate sites has no limit, as long as you put in the work for research, traffic generation and marketing. Of course, you’d have to invest in the right niche to maximize your site’s growth. There is no master plan to build and run an affiliate marketing business that fits everyone’s budget and goals. You’ll be deciding on multiple issues, from the number of websites to create, to the method of traffic generation, advertising and other major decisions that can affect your business. The steps below follow only the basics. You can definitely change some of the steps, if you have a higher budget to use, or decide to expand into two or more affiliate sites. 1. Brainstorm and gather ideas. Planning should always be the first step when drawing up any kind of business. Even if affiliate marketing operates completely online, it should still be considered as a full-blown business and given ample time for research. You should also be checking out if these branded products offer affiliate programs. If not, move on to another idea. If so, do a bit of research and determine if this niche can provide years-long of topics or unlimited number of products to feature. Use tools. One awesome (yet completely free) tool you should use when brainstorming niche ideas is the Google AdWords Keyword Planner. While predominantly used for AdWords and PPC, you’ll love the detailed information provided, which includes average CPC, competition level, and more. Decide on a niche. You can only go so far when it comes to your initial research. But once you find a niche that you are passionate about and have potential for growth, go for it. There are a couple of decisions you’d have to make when creating a website for your affiliate marketing business. For example, the platform you choose could slow down page loads, which in turn, affect your site’s ranking. This will reduce its ability to become a click-worthy affiliate site. Domain name and hosting: As we’ve mentioned earlier, the domain name and hosting make up the basic requirement to set up a website. 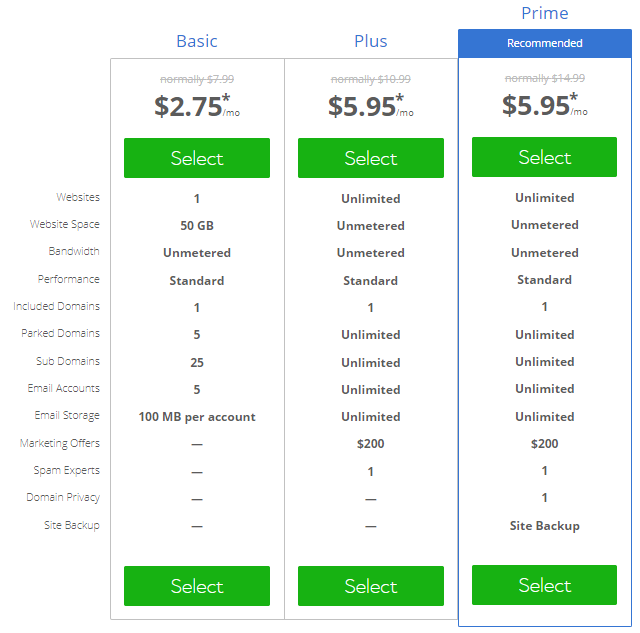 You’ll spend a lot of time coming up with a user-friendly domain name and comparing hosting packages. Don’t take these decisions lightly. 3. Choose the right affiliate network. Affiliate marketing has been around since the late 1990s, which is why you shouldn’t be surprised that there are dozens of affiliate networks beyond the ever-so-popular Amazon and ClickBank. If your website isn’t a made-for-affiliate marketing site, you’d have to be careful in promoting products that reflect your niche and values. For instance, a beauty blog couldn’t just recommend a kitchen item or online marketing ebook out of the blue. This blog, however, would do much better with affiliate links that come from a shop like Sephora. So if you read 90-day cookie period, it means you’ll get a commission if your site visitor makes a purchase in 90 days or less after clicking your affiliate link. The longer cookie period an affiliate program/network offers, the higher your chances for revenue. 4. Develop your content strategy. Content refers to everything from product reviews, features, images, videos, infographics and other types of media. This strategy may include topics for future publishing, products to prioritize, search engine optimization tasks, categorization, and more. You can list them down on a spreadsheet, on paper, or even on a to-do list app. Developing a content strategy is particularly useful for team collaborations. If you’re planning to outsource writing, SEO, or website management, this guide will help keep things organized. Including this as a step is kind of unfair. Once you get and idea picked out and your website setup, creating content is going to be your sole focus for the remainder of your affiliate marketing business. Tackle content beyond your website, too! Aside from your website, you’ll also need to think about content for email campaigns, social media, and other marketing techniques you’re going to use (more on this on the next step). Don’t get stuck on your niche forever. Once you feel that your level of authority has risen a few notches, try to discover sub-niches that’s related to your topic. For example, if your niche is weight loss exercises, you can tackle supplements or diet food as well. If you’re having writer’s block, here are 20 article ideas to get you out of it. 6. Expand your traffic-generating techniques. Unfortunately, people won’t magically find your website out of the millions of websites around. It’s either you pay to get traffic directed to your site, or you spend time marketing your website all over the web. And your website definitely needs visits from real people. Tons of them, if you’re hoping to earn from affiliate marketing. E-mail marketing – When done properly, an email marketing campaign can be a powerful tool of increasing visitors to your blog. You can even hire email marketing specialists if you want a campaign done right for you. Social media campaign – Consider each website as a company and open up social media accounts for each of your site. Keep these accounts updated regularly. Two-way guest blogging – You can invite other people to write on your blog and you can start guest-blogging on other people’s websites. It’s a win-win situation, especially if you have valuable information to share. With this technique, your goal is to encourage visitors from other blogs to visit yours, and build a rapport among other bloggers. Conduct on-page and off-page SEO – Performing SEO tasks improve a website’s chances of getting into the first page of search engine results. Not sure where to start? Check out these 20 elements that could help make your site SEO-friendly. Expand your network – Get to know other affiliate marketers within your niche. Make friends with other bloggers. Follow other authority figures on their respective social media accounts. These small tasks add up in time and before you know it, your network of connections can become pretty impressive. Build a small community – Take care of your readers. They’re the ones who will turn into buyers and allow you to get a cut from their purchase. Reply back on reader’s comments. Answer their e-mails. Make them feel welcome on any page of your site. Check out competition – Don’t be scared of your competition. Research them. Learn about their marketing techniques and copy what works (then scratch what doesn’t). Try to find out what lacks on your competitor’s site and offer it on your site. Analytics of Affiliate Program/Network – Almost all the major affiliate networks have their own analytics tool to help you check conversions, commissions and everything related to your account. Pay attention to the small details. It would help you figure out which products to feature next. There are other paid analytics tools available, usually included as part of internet marketing programs, but these two would work pretty well. Aside from data, you need to understand that these are real people coming to visit your site. You are never going to succeed if you just push out poorly written content, filled with affiliate links. Choose the right affiliate network. Like any kind of business, affiliate marketing requires hard, consistent work. Don’t believe anyone who tells you that you can become rich overnight with an affiliate marketing site. However, there are several advantages of this business model over traditional brick-and-mortar businesses. For one, you don’t need a lot of capital. If you’ve got a knack for writing, you can do everything yourself and learn the rest from editing photos to setting up a WordPress site through research. After all, the internet has given us everything we need to build a successful affiliate marketing site. According to Internet Advertising Bureau, affiliate marketing represented 6% of the United Kingdom’s online economy in 2012 (that’s about £9 billion in sales). The future of affiliate marketing doesn’t seem to wane, even in 2018. But as Google and other search engines continue to put value towards sites with high-quality content, your goal is to up your game to compete with older websites and relentlessly provide value to your readers no matter what products you’re planning to promote. Have any questions before you get started? Affiliate marketing has been my sole source of income since 2009. If you have any questions about what it takes to get started, just leave me a comment below and I’ll be happy to point you in the right direction. I understand the basics of affiliate marketing but something confuses me about choosing a niche concerning becoming an Amazon affiliate. If you’re promoting any stores products & being that they’re all different, what would you call that niche because isn’t every product a potential niche?